Includes Bonus Pattern Booklet and….. a chance to find a GOLDEN TICKET! 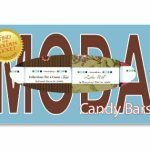 MODA CANDY BARS Dark Chocolate – Box 1 Fresh from Moda’s Bake Shop, Moda Candy Bars! 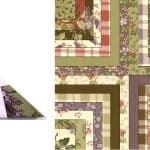 This box includes four packs of 40 – 2.5″ x 5″ fabric rectangles from the following collections: Buttercup, Oasis, Lovely and Modern Workshop. BONUS included is a 2-project instruction booklet for: Fresh Blooms (45″ x 45″) and Cut Blooms (24″ x 40.5″). 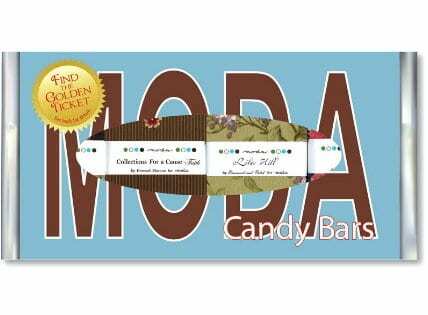 If you find a GOLDEN TICKET in your Candy Bars you get a chance to win the Grand Prize. See pictures above showing all details of this box includes details of the GOLDEN TICKET. 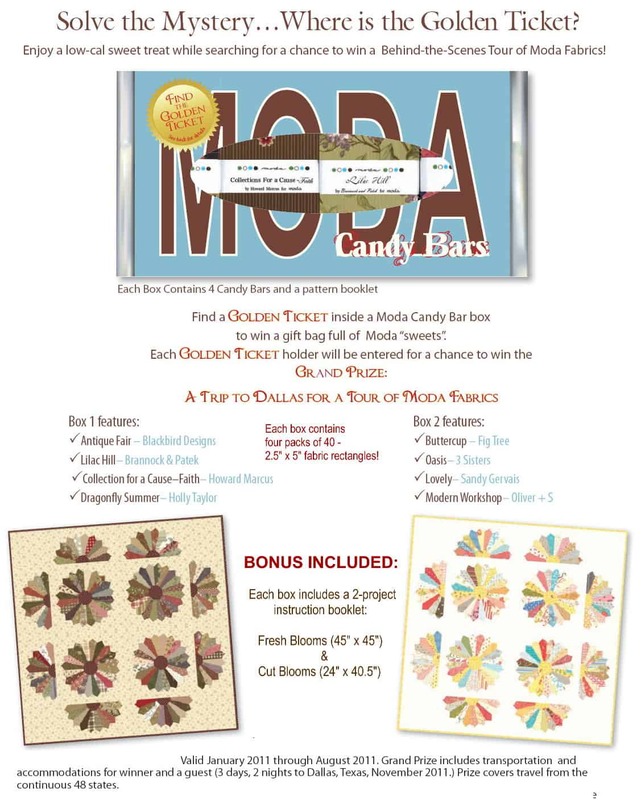 These limited edition gift packaged Moda precuts won’t last long so get yours will you can! –also makes a great gift for someone special!